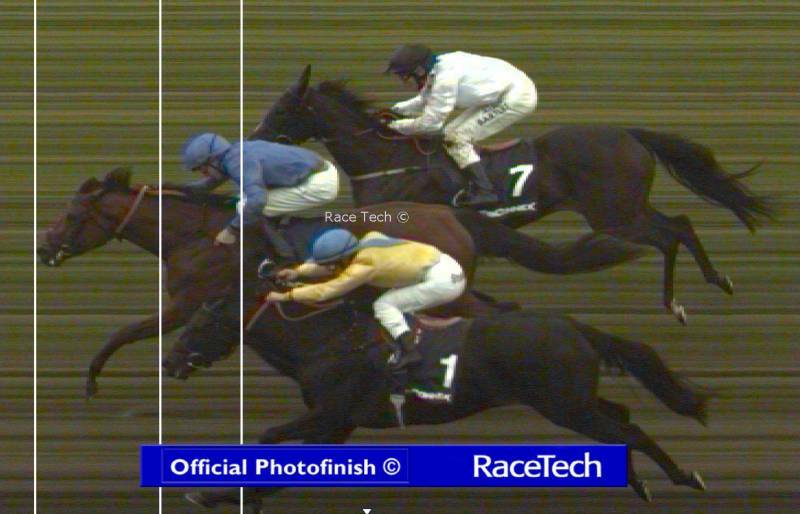 British 2yo Racing - 2014 Race Result :- 851 : Sat, October 4th - Newmarket Rowley 2:55, 7f Group 2 (Fillies') (1), "Oh So Sharp Stakes"
Newmarket Rowley 2:55, 7f Group 2 (Fillies') (1), "Oh So Sharp Stakes"
NR Majestic Manner m W. J. Haggas 5 WD = Loaded with half field in. Charged Gate & Burst it Open. Galloped down course and then on to the hedge line at the far end. NR Montalcino m B. J. Meehan 2 NR = Vet's Cert (Bad Scope). Declared 16:25pm on Decs Day. NR Yodelling m/D C. Appleby 3 NR = Going, Declared as horses entering the PRing. SUMMARY Rain during the early part of the Meeting. Ground Changed from GF to G in one Step after Race 2. this Race 3. GF as on Decs in Early am. Rain Forecast before racing. Stiff- WNW Wind as close to Direct Tailwind. Stalls Far Side of Far Side Course. New Market formed, no Rule 4 Deductions. Majestic Manner taking a long time to be caught.